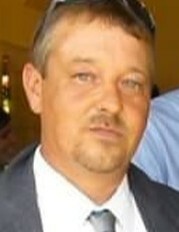 Joseph F. Lynn, Jr., age 42, passed away Monday, January 21, 2019 at his home. Joe was preceded in death by an aunt, Jackie Gardner Light and uncle, Edgar Gene Gardner. He is survived by his son, Joseph F. Lynn, III; parents, Joseph F. Lynn, Sr. and Shirley Gardner Lynn; sister, Crystal Lynn Sears; companion, JoAnne Coley; aunts & uncles: Wilbur & Betsy House, Jerry & Linda Smith, William & Shelby Gardner, Dennis & Melissa Gardner, Gordon & Jeanette Price, Mary Jo Cobb, Walter Lynn, Sr., David Lynn, Diane Flood, Ella Mae Curling, Faye Barnes, and Gray Jackson along with a host of family friends and extended relatives. A private memorial will take place at a later date.